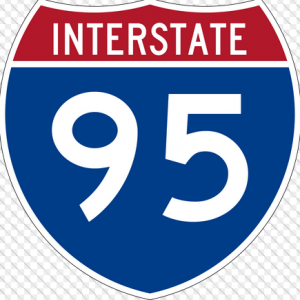 1 Killed, 7 Hospitalized In Fatal Rollover Crash On I-95 In Martin County | Schuler, Halvorson, Weisser, Zoeller & Overbeck P.A. One person died and seven others were injured in a fatal rollover crash on southbound lanes of Interstate 95 southwest of Palm City in Martin County, according to the Florida Highway Patrol. The fatal rollover crash occurred near the rest areas at mile marker 106, west of Florida’s Turnpike, according to FHP’s traffic monitoring website. First emergency responders arrived at the scene shortly after the crash. One person was killed in the crash, FHP spokesman Lt. Alvaro Feola said in a news release. At least two people were seriously injured. Three of those injured in the crash were transported to Lawnwood Regional Hospital with serious injuries & Heart Institute in Fort Pierce. Four other victims were taken to other area hospitals, Feola said. Their conditions are unknown at the moment. Traffic was backed up for hours after the crash. Two southbound lanes remain open according to FHP’s traffic monitoring site.